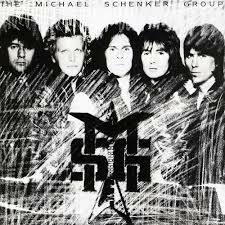 This entry was posted on July 12, 2015 at 6:47 pm and is filed under 1980s, Heavy Metal, Heavy Metal and the 1980s, Music, Rock, Uncategorized with tags Assault Attack, Blues, Classic Rock, Graham Bonnet, Guitarists, hard rock, Heavy Metal, Heavy Rock, Joe Lynn Turner, Michael Schenker Group, Rainbow, Ronnie James Dio, The 1970s, The 1980s. You can follow any responses to this entry through the RSS 2.0 feed. You can leave a response, or trackback from your own site. Great Review on a classic from MSG! There is no dud on this album it opens great and ends great! Bonnets vocals are awesome on this and of course Martin Birch rocks the console on the production side! 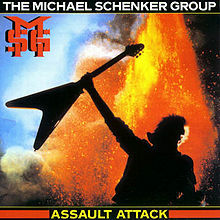 Assault Attack for me was the last great MSG record ….. It was awesome still is as a matter of fact! Thanks and spot on, there’s no dud songs on this album. I was very pleasantly surprised here. Proper rock! none of your messing about here, just … BANG! Very well said and like the album, straight to the point!